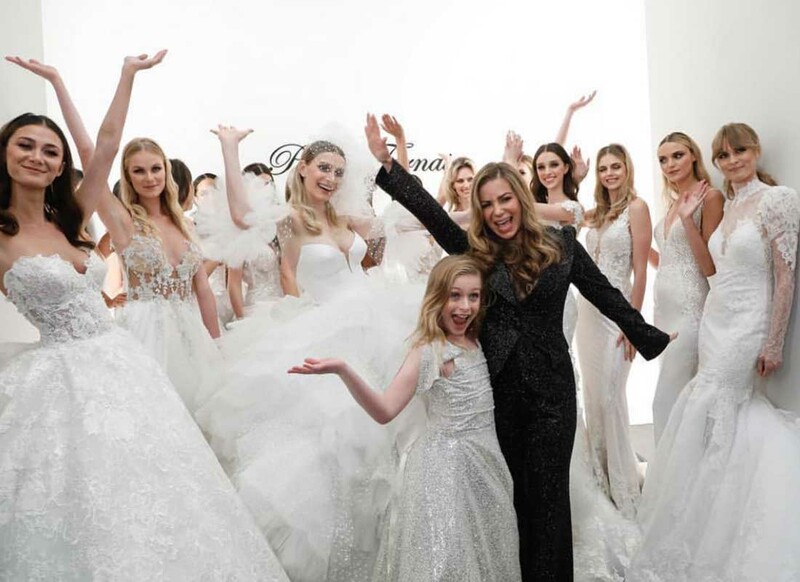 One thing that I look forward to every year is Pnina Tornai's fashion show during New York Bridal Fashion Week. A day filled with high energy and glamorous dresses, it is no wonder that this exhausting yet fabulous day is one of my yearly favorites. There is one particular moment during the shows that I really love though and that is when the finale gown makes its way down the runway. Always over the top, always fulfilling my lavish heart with joy, finale gowns are truly something to behold. The epitome of couture, the finale gown is meant to push the boundaries of bridal wear and what exactly a wedding dress is. Since these gowns are normally high fashion, there are very few brides who would even consider wearing them (myself included tbh) but in my opinion, they are not necessarily meant to be worn on wedding days. For me, they are an exquisite work of art, and I truly look forward to seeing what new masterpiece Pnina creates year after year.